As promised when we entered 2018 each release will be accompanied with an overview of the “Eco Elements” behind the design and materials! Despite it being late March and a ruckus year so far, I’m thrilled to finally be kicking it off with today’s design release, Landfall 😊. Nature: after the hurricane subsided I returned to my love of water for inspiration – it’s peace, serenity, and calm. The rhythm of the stitches was inspired by gently lapping waves on the sandy shores. 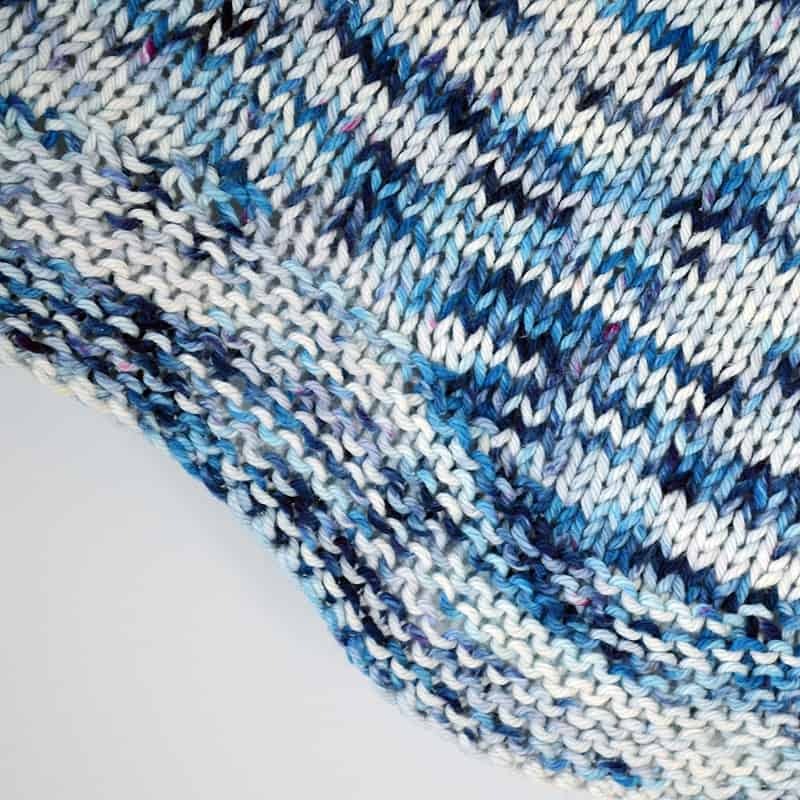 Knit, purl, and short rows combine to give peace to your stitching and FO. Ethos, Pathos, Logos: more on this below in the “something new” section! 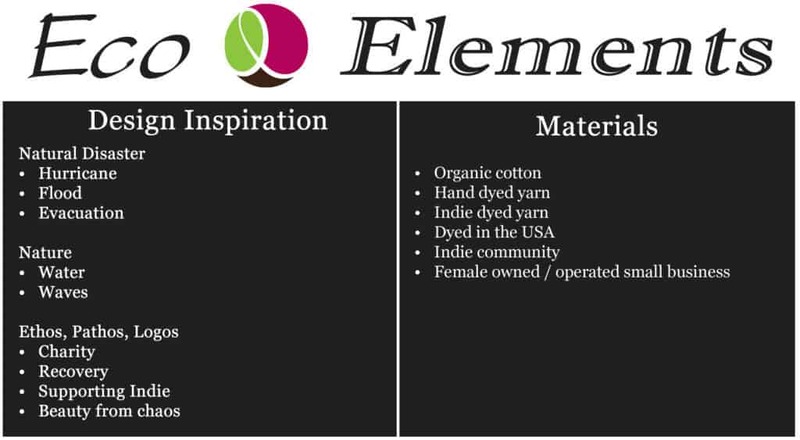 Organic cotton, hand dyed in the USA, by an indie small business – I think this one speaks for itself 😉. As much as I adore it, EI knitters be sure to read the disclaimer on my yarn review here. The video of Use the Good China was corrupted, but you can see it peeking out behind Koi. This month’s focus is charity knitting. Given the inspiration, I wanted to do something unusual and special with Landfall. Here’s what Puddles and I cooked up. Best part? It’s going to be a surprise to the yarn dyer! Hurricane Irma Relief! 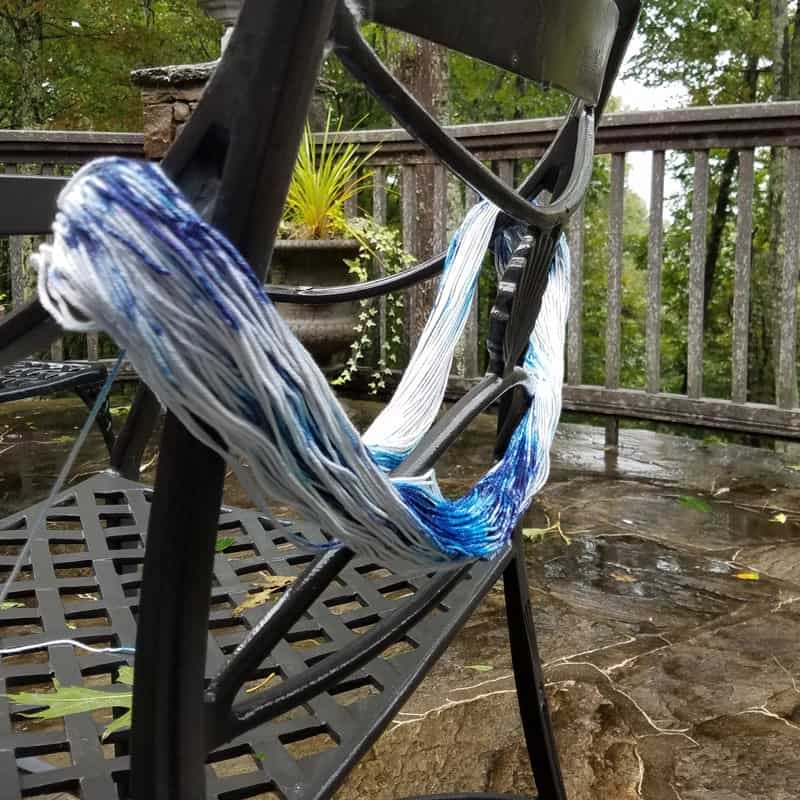 The indie dyer was personally affected by Hurricane Irma and had to evacuate her home last summer, closing her yarn dyeing business until she could return. 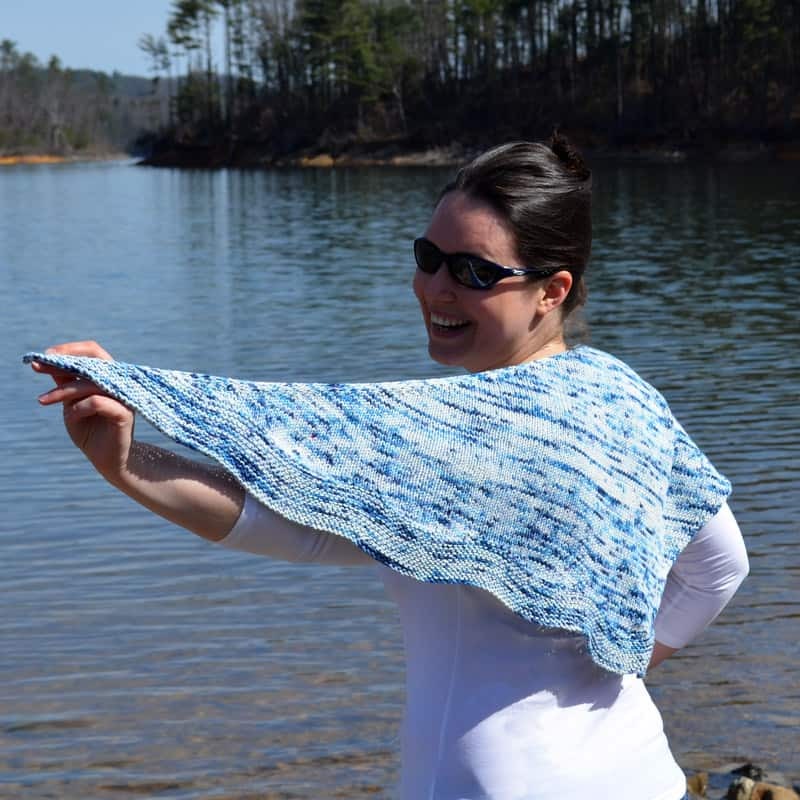 Watching the devastation on Instagram, I wanted to do something to help so I decided to create a shawl in the yarn I had from her. Several months later, recovery is still in process around many affected areas. Thankfully, Birdie’s home wasn’t damaged badly and when she returned she was able to get the dyeing back up and running. Those days, however, will forever been lost. So here’s the fun part: for each pattern sold during the first 48 hours, I will donate 2 copies to Birdie to kit with yarn in her Etsy shop. For each pattern sold after the initial period and before Wednesday March 28th at midnight (EST), I’ll donate 1 copy to Birdie for her kits. Let’s make a difference in the life of one of our yarnies and show her that though the storm waters have receded, we remember her struggle and celebrate her victory! Check the blog Thursday March 29th to see how many we raised!